We manufacture a qualitative range of Refractory Sleeves. These refractory sleeves are in high demand in both the domestic and international markets. Our range of refractory sleeves are manufactured using the finest grade raw materials that are being procured from reliable vendors in the market. These sleeves are widely used for various applications in variegated industry segments. Bottom Pouring Set is a set of different refractory items like funnel, sleeve, centre brick, main channel brick, end channel brick, main connector brick and end connector brick. There are so many different size and grades are available. 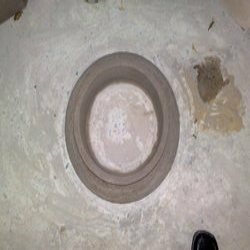 Being a pioneer firm, we are engaged in offering Refractories Sleeves to our clients. We supply a wide range of Refractories Sleeves across the global market. These products are manufactured by well known manufacturers of the industry. Thereby, these products are quality tested and durable. We offer these brick sleeves in different options like bend form and straight form. These are widely used in steel foundries and various other industries. A.n. Market Solutions Pvt. Ltd.
We are engaged in offering Refractory Sleeves. Our reputed entity is engaged in supplying Refractory Sleeves. 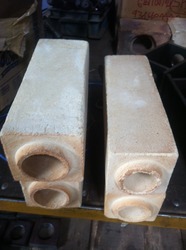 In order to meet excellent quality standards, we are supplying Refractory Sleeves.